Herb gardens have made an appearance at the Standley Feed and Seed’s Garden Center in Madisonville, TX this spring. Plant these outdoors or close to a window for fresh herbs all year long! Use these fresh herbs to garnish or spice up your dishes. You can also use them to make tea. 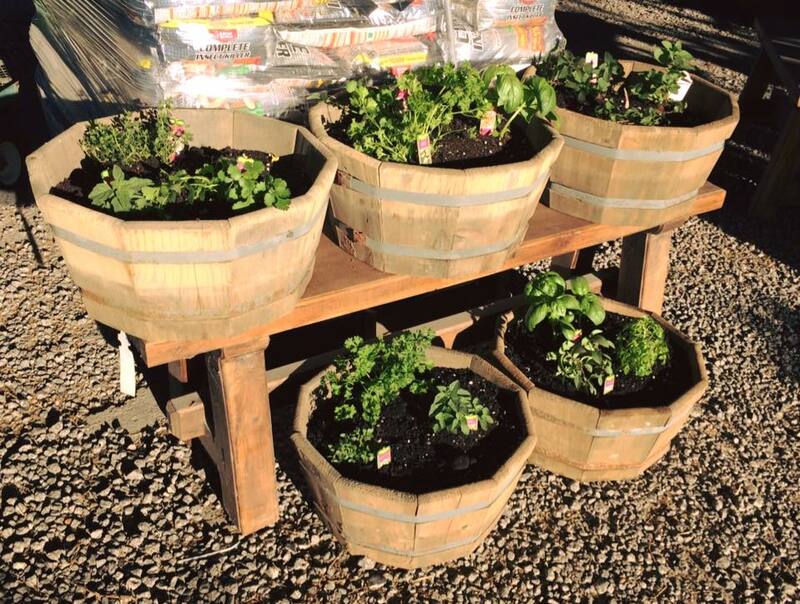 These herb gardens are planted in rustic whiskey barrel bottoms with fresh Bonnie plant herbs for only $24.95. Stop by for all your garden needs, seeds and products at Standley Feed and Seed’s Garden Center at any of our locations. Have questions? Give us a call at (936) 348-2235. This entry was posted on Friday, February 26th, 2016 at 11:24 pm	and is filed under News & Updates. You can follow any responses to this entry through the RSS 2.0 feed. Both comments and pings are currently closed.